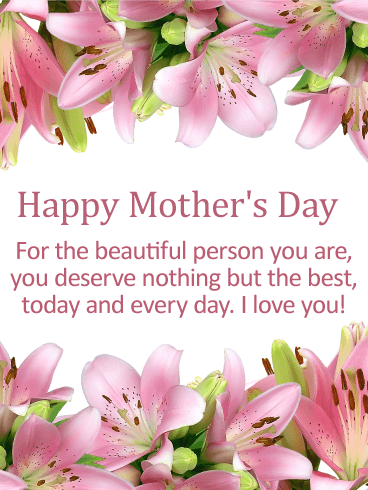 A loving mother deserves a Mother's Day card that will capture her heart with its beauty. This Happy Mother's Day card is absolutely stunning with its borders filled with delicately painted pastel-colored flowers. It perfectly frames the creative lettering that spells out, "Love You Mom". 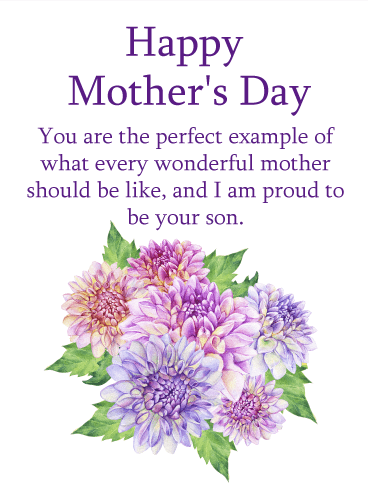 This Mother's Day card would be adored by any mother on her special day, whether it is from her son or daughter. Your aunt's got it all! And Mother's Day is the perfect time to let her know. 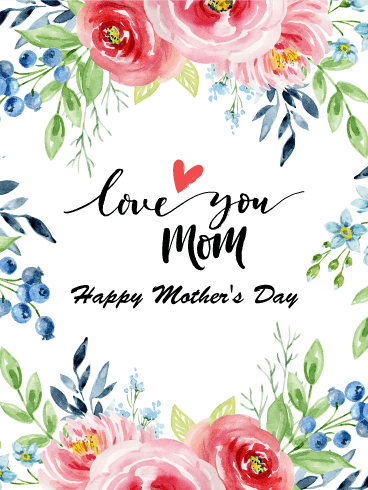 Both charming & sweet in its design and words, this Mother's Day card will send along your best wishes for the most fabulous family member around, whether she's down the street or across the miles. 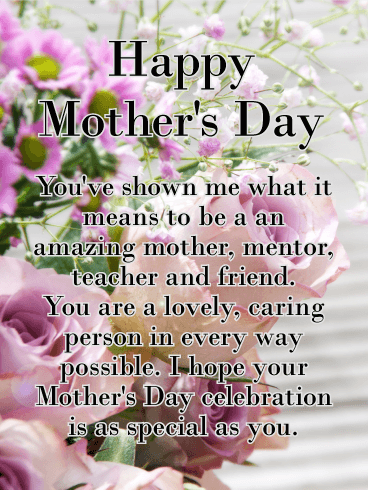 Wish your mother a fantastic day with this exquisite Happy Mother's Day card! 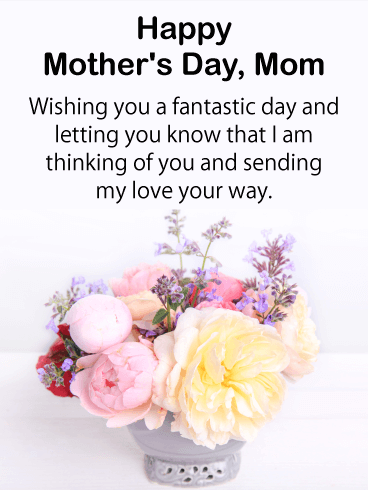 It features the most beautiful flowers and a special message that shows her that her son is thinking of her on Mother's Day. The vase is filled with pastel colored blooming flowers, so pretty! 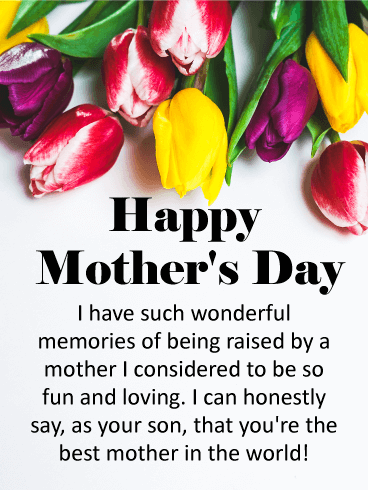 She will be very thankful that her son took the time to send this gorgeous Mother's Day card, so be sure to send it out soon! 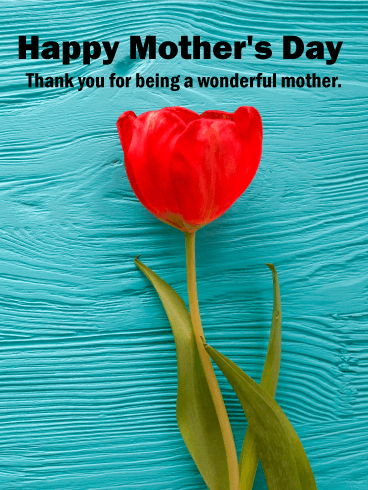 If you have a close relationship with your mom, then this Happy Mother's Day card with pretty red flowers would be great to send to your mother! It tells her that you feel that she is very important to you. Also, when a mother reads her son loves her with all his heart, it can be the most wonderful Mother's Day gift of all. 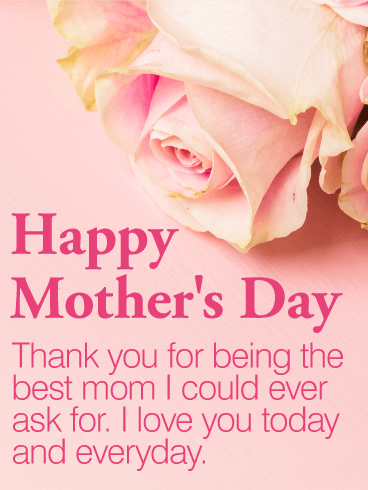 So send this vibrant meaningful Mother's Day card out today! 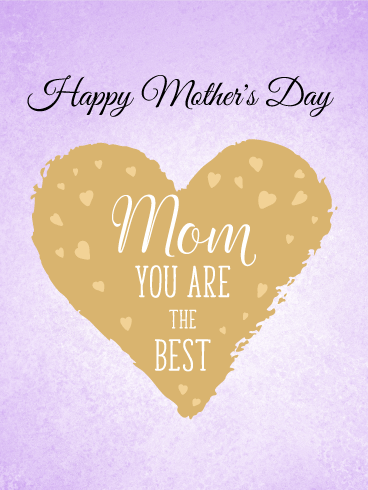 If you want to be your mother's favorite, then tell her she is the best mother in the world! What mother wouldn't be filled with excitement to read something like that! This Mother's Day card also lets her know she is a fun and loving mother! The pretty flowers make this Mother's Day card look fabulous, and she will want to keep it forever! Be sure to send it to your loving mom this Mother's Day! 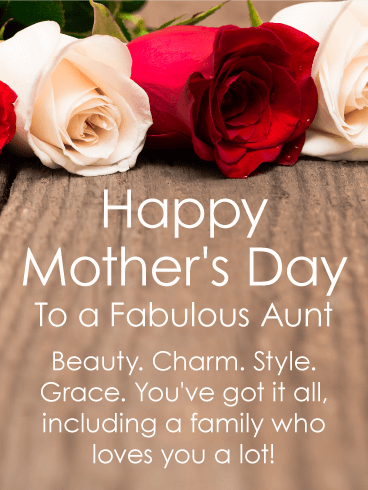 A gorgeous rose bouquet helps make this Mother's Day card for your aunt special. But what will really touch her heart is the beautiful sentiment, which lets her know how much she means to you, and the many ways she brings happiness to your life. What a touching way to help her celebrate.